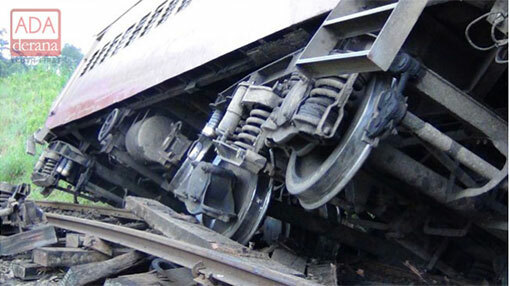 Train services on the Northern railway line have been disrupted due to a derailment at Saliyapura, Anuradhapura. A compartment of a train traveling from Jaffna to Beliatta had reportedly derailed at Saliyapura. The Railway Control Room said that no passengers were injured in the incident and that steps are being taken to resume services.